This entry was posted in RV Tut by TweaK. Sorry for the late answer, the track is still on its way, along with one other in particular, and I hope I can finish these for christmas ! Hey there, I’m excited to see the completion of your tutorial, as I’m sure it will offer not just many tips on track creation, but also efficient 3d modelleing workflow in general. However, is there any chance you could compile a basic, shorter tutorial sooner? I don’t mean to rush your process or be impatient, but I’ve been modelling some track designs myself and I’m having trouble using your exporter, things like objects vanishing when I drive near them or the Environ reflections having messed normals. it’s hard to understand where I’m going wrong as your tool offers little documentation at this point. Again, I’m looking forward to the whole tutorial you are intent on completing with your own time. but some basic guidelines for your tool and the process would help my workflow greatly! I’ll try to make something about the process to use the 3ds exporter too. Again if you have a specific question, I may answer more quickly. at this point I’ve just about figured out all my issues.. the objects vanishing was caused by some UV mapping modifiers I had left on certain objects during my *.w export. The ability to build everything in max, and even use vertex paint modifiers as well as smoothing groups to add more definition to my track, and then have it all sent to RV with a single click is amazing! it feels easier than building in unity! ha ha! this is actually my first track I have made, so I’m about to tackle POS nodes and Ai paths, it’d be great if there was a way to get them from max too, like a spline or something, I find the revolt editor to be slow and clunky. 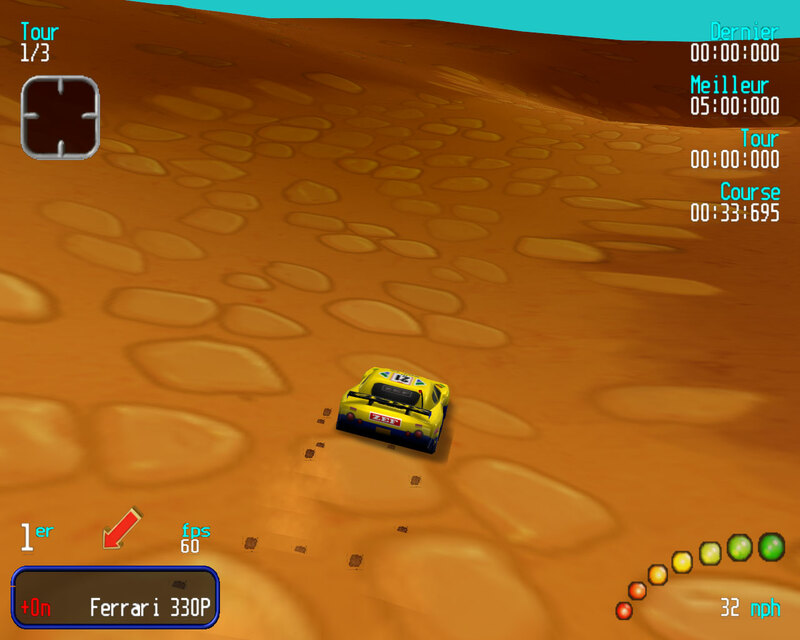 I read somewhere that you can define track zones by using cubes in max, but how to get them from max I have no idea. ever heard of this? Ok. I’d like to see more about the vanishing object, since I never had this issue it may be a bug caused by the exporter. Could you send me the object causing problem in max format ? Or maybe only the revolt file. Select any object you want to export (can be done for all at once), add an Edit_Mesh modifier on top of it. Then in Vertex sub-object mode, select all vertices and using a very small value (like 0.01 – don’t set to 0) click on Weld Selected. If the number of selected vertices changes, it means there was at least one Zero edge. You can save you scene with another name and try to export. See if it solves the problem. Note that solving the problem like this will convert every polygon to a triangle and you will have no more Quad exported. You may want to find where the Zero edge was and fix it manually using an Edit_Poly modifier. There’s a documentation about how to use it (although you may ask if you have difficulties). The object is long gone, I’ve worked on the stage a lot since then, its really close to being finished actually ;) from memory the modifier I had on was a “Camera Map WSM”. and I guess that was the problem, WSM’s (world space modifiers) can’t be collapsed, they can only be removed from the your modifier stack, so that was probably it, as I imagine your exporter will collapse modifiers on export. I’ve also managed to become more comfortable with the RV in game editor, so nodes and zones are no longer such a problem for me lol. thanks the advice on my car model, I will give that a try! I’ll be introducing my work to the RV community soon, will definitely give your tool a mention as it made the progress really smooth for me. Using the Edit Mesh modifier helped the car a little, it’s still not perfect, but I believe this is on the right path, I’ll have more of a look after work tonight, also.. can you explain how the animated textures work? Do I just keyframe the UV tile offset or something? Thank you, I’ll have a look about the WSM modifiers and see if I can do something. About the normals, there’s room for improvement but the exporter was mainly designed for world export so there was no huge need for subtle adjustments. If you want more control, I have a feature I want to add but it’s not my top priority. The idea is as follows : surface properties are applied using smoothing groups, and since it affect normals, if more control is desired you may add another modifier to control normals only. I understand it can be useful for cars, so tell me if you want something like this ! In the meantime, you still can control more precisely by breaking/welding vertices. If there’s at least 2 different frames an animation will be exported. You need to select the Edit_Poly object using the “Pick Anim” button and adjust settings (FPS and Animation Range). Texture animation on any mesh can be changed using the texture ID. It’s a bit tricky, so I hope this helps ! I got some texture animations happening, although not in the way I expected. I was hoping I could pan a texture across a whole mesh with its UV in place, however when applying an animation to a model, it seems to revert the UV to single faced mapping, which I guess makes sence, would be great to use on water or other things, but not what I had in mind. do you know of any way to animate a texture on a model while keeping the models original UV intact? or another work around would be to get the animation from the mesh itself, not just a 4 sided plane. well I guess this is just how the revolt engine does things, so probably, it can’t be helped. another limitation of the Revolt engine is no repeating textures, it’d be great if they could fix that, got plenty of tracks which could be ripped straight from other video games which I’d love to put in Revolt, haha. In fact, this is technically possible and I’d like to do that too. You could split you mesh in separate polygons and then export each animations to achieve this for now. If I work on the feature I was talking about in my previous message, you will be able to export as many as you want. Note that keeping quads is a good idea for texture animations. You can force any quad to be exported by making it double-sided. lol well I think I will forget about the animated textures then, it was supposed to be a quick effect which I wasn’t too sure about anyway. the track is almost finished! I have one track almost finished too, maybe we could beta-test each other ? Anyway, it seems texture animation would fit well for the water surface ! If you wish to talk about it more directly I’d be glad to help. Maybe on RVHouse or Skype or whatever you like…? Sorry I didn’t complete the smoothing group table about it. This smoothing group is also great for test purpose, i.e. if you set a lot of surfaces using SG23, you can change the surface property when exporting without modifying the geometry. I just joined up to RV-Live, under the name DC.All, I have a WIP which I just started, and I’m quite happy with the feedback. you can message me on that, if you are a member. the texture animation were going to be for some stylized wind swirls, kind like from Zelda: Wind Waker, I built them with polys and then did the UV’s so I only have to pan a gradient across the UV space and a lovely, varying swirl runs across the sky. it works in max and stuff but if failed in RV, but that’s ok, it was more of a test after all. I don’t think I’ll animate the water, plus I’m using the entire ocean, and some parts of the mud as a single Poly’d texture, this way, I can add all sorts of shading and variation for depth or shadows in photoshop. 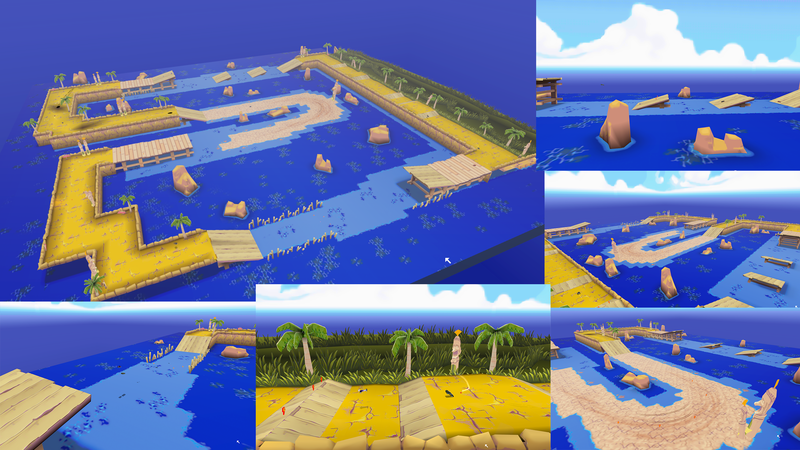 I had originally made tileable textures for the water/mud areas, but there were just too many poly’s and it looked so bland, having it all on a single poly with a 2k bitmap just seems to do the job much better. Ok I understand what you wanted to achieve. I’d really love to see these wind swirls ! I cant wait if you make some more tracks of this quality ! hey hey! thanks for your advice on the forum. lol don’t stress about the swirls, if the software can’t do it, then I can live without it, I’ve already been planning on how to use single poly texture animations for my next track. speaking of, I hope I won’t disappoint, but I don’t think anyone should expect the same level of detail from my future tracks, I put my heart in to that recent one, and I missed out on a lot of sleep trying to fit it in between work and personal life. the next one will be much simpler (although I’ll do my best to make sure its got the same quality). I do have another track too, which is just a blueprint for now, completely original.. but It will be a while before I can get started on that one. plus it will be much harder, with “Midsea Island”, the layout and colour palette were both taken from the Super nes game, so it made a lot of the decision making easier. my original track might really slow me down when it comes to choosing colour schemes, etc. I hope everyone enjoys the track! I know I do, everytime I test a change I made, I can’t help but race 3 laps. Don’t worry I only work on it when I have time and motivation, but seeing someone interested is of great help to find motivation ! If you want some advice about choosing color scheme etc : draw ! You may try to blockout the level, and test, and make overpaints (very quickly, no need for pieces of art yet !). Doing this will allow you to refine very easily. 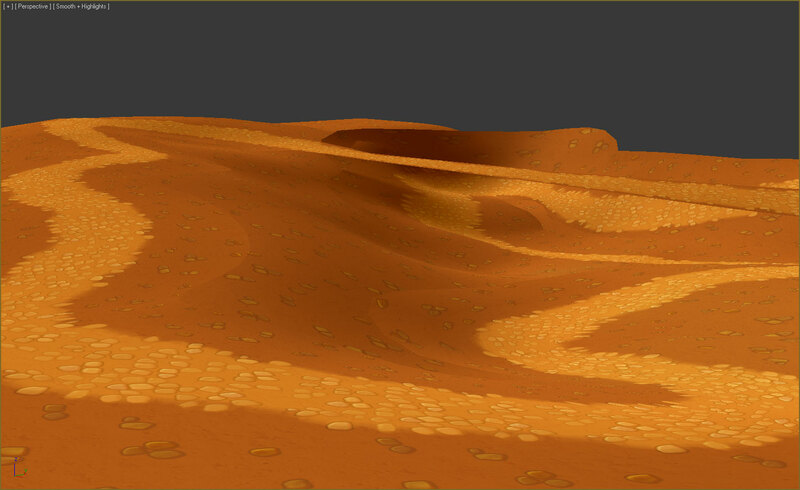 Working with very basic shapes and no texture helps (a bit of vertex colors to help visualise the terrain). haha, yeah I have drawing tablet and do a bit of graphic design, I can just be OCD at times, so having the layout and palette set for me in advance allowed me to just stream roll through that track, it only took around 2-3 weeks to make lol.